Here’s another postcard that caught my eye at the antique shop. It’s a print of the Pipe and Drum contingent of the 1st Royal Scots, the oldest regiment in the British Army. The publisher was Valentine and Sons. Valentine and Sons were Victorian era publishers of postcards and grew to be Scotland’s largest. 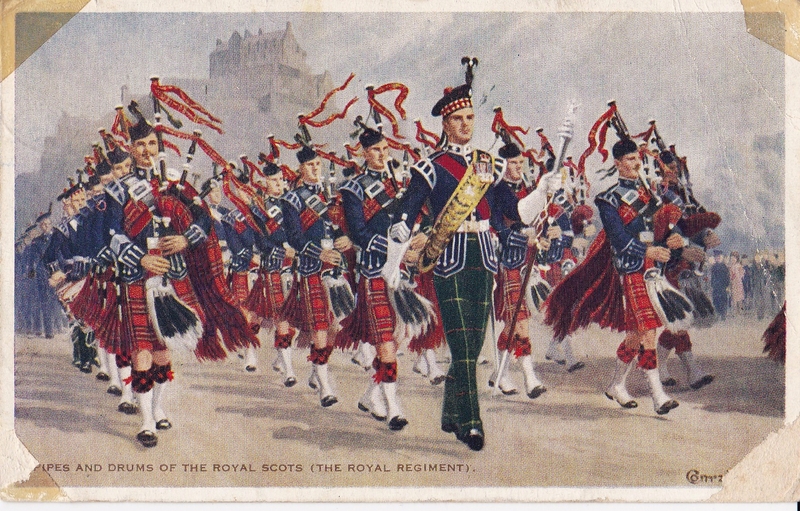 The uniforms of the Scots on this postcard are 1890s vintage although the postcard was mailed much later as indicated by the air mail stamp on the back side. 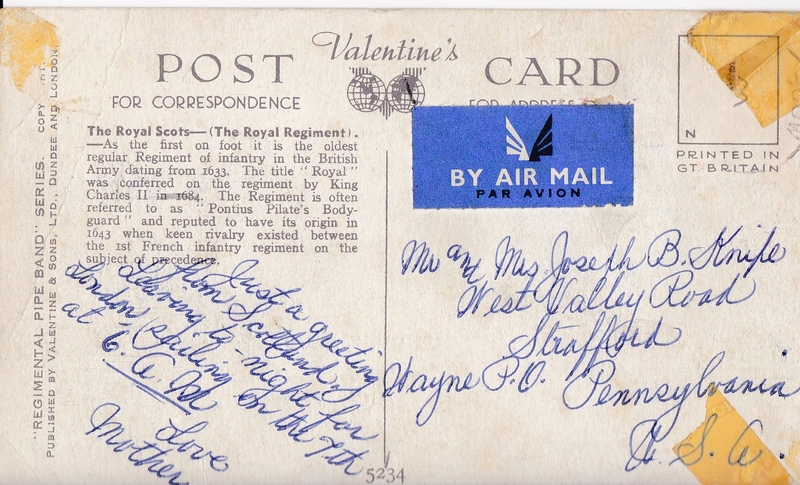 I cannot date the card but clearly it was sent from an American tourist who is just leaving Scotland for London and then on to a ship for the trip home. ← To Hell with Kaiser Bill!